Oftentimes, vehicle parts that are small in size and relatively inexpensive can still cause major mechanical problems when they break. A motor mount, or engine mount, is a rubber and metal assembly that has two purposes in your vehicle. Motor mounts align the engine inside the engine compartment – securing the engine to the frame of the car – and also absorb road shocks and vibrations so you don’t feel them while you’re behind the wheel. Most vehicles have multiple motor mounts, and if one of the motor mounts breaks the driver will experience significant shaking and vibrations from the engine. Broken motor mounts place tremendous stress on all of the other components that are attached to the engine, and can result in broken transmission mounts and transmission bolts, exhaust leaks and damaged wiring. If you’re experiencing excessive engine vibration or engine rattling, it’s likely that one or more of your motor mounts has gone bad. Other symptoms include broken engine belts or hoses. Whenever you notice that something is off with your vehicle, you should schedule an inspection right away! Motor mounts are not typically checked during general maintenance, but they will be one of the first things we look at when you report a noisy or vibrating engine. The team of auto experts at USA Automotive has the skills and training to correctly diagnose your vehicle’s problems and suggest the appropriate repairs. We will remove and replace any bad or broken motor mounts – preventing future damage and making your ride smooth again. We stand behind our work with a 3 year/36,000 mile warranty, so your vehicle is in good hands with our ASE certified technicians. 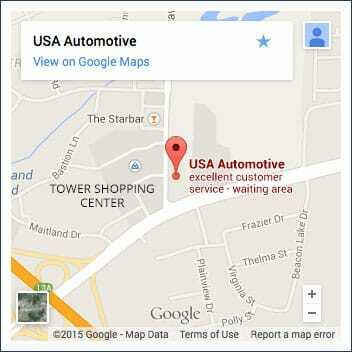 USA Automotive is dedicated to providing the quality care that your vehicle deserves. We know that you count on your car to get you through your busy day, so we work hard to perform repairs that are done correctly the first time. 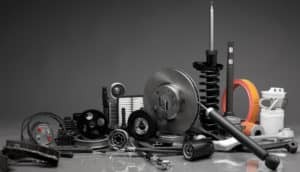 Whether your vehicle needs a motor mount replacement, a major engine repair, or if you’re just due for a simple maintenance service, USA Automotive is your best bet for complete car care in Raleigh, NC. Give us a call today at 919-249-5295 or request an appointment online. We look forward to providing you with Raleigh’s best auto repair!